Today I again hosted "the lodge" at Deer Haven Preserve in Liberty Township, Delaware County. This nature center is a great place to watch and photograph any bird that will come to a feeder. 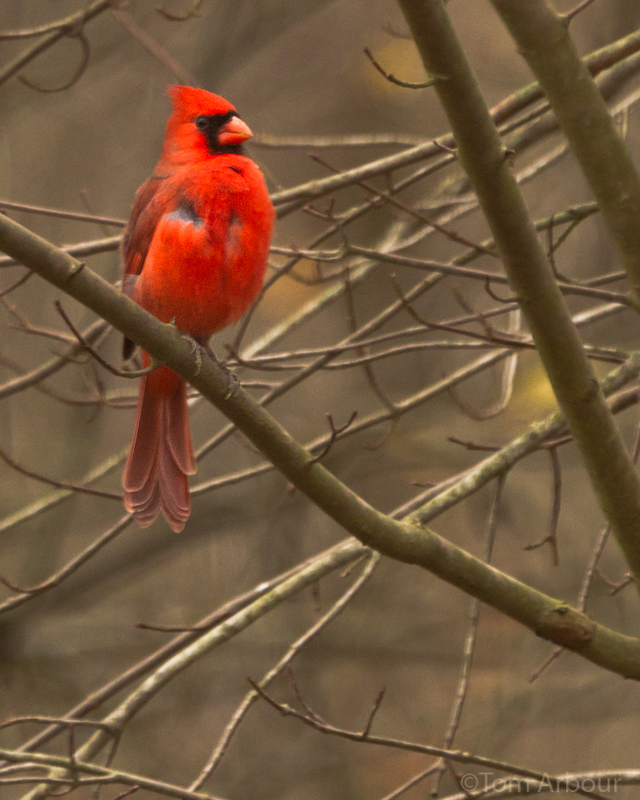 This male cardinal caught my eye on a gray afternoon. He kept preening his feathers- allowing the darker patches of underlying skin to show through. It was interesting behavior to watch, but those two patches don't make for the best photograph. Unlike a fashion photographer, I can't just yell "wardrobe!" and have three assistants rush in to re-arrange the feathers. Lovely shot of the Cardinal!